While there are plenty of very good tennis writers putting their thoughts onto paper, there are also plenty of other articles that seem to get disseminated that are simply nonsense. Whether they are meant to be written in that form to generate hits and discussion or whether the writer truly believes what he is writing is not always clear, but the quantity of nonsense that comes from certain writers does make me wonder at times. As an exercise, I am going to look at one of these articles and try and break it down to see whether the arguments and statements are actually sensible or whether it really is nonsense. 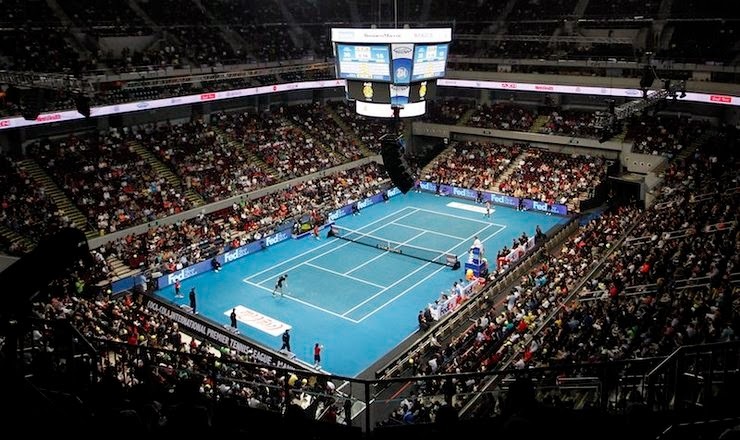 As some of you may have gathered from my Twitter feed, I have been following the new IPTL tournament closely for various reasons – both professional and personal. The article that I will look at is this one, entitled ‘The International Premier Tennis Leaguehas no future, hopefully.’ It is published on GiveMeSport by Harry Wall, their lead writer. Even if we had not gathered from the headline, we are told very quickly that he is not a fan of this new event. Apart from the chance to see the legends, he is clearly not enjoying the tournament. As he correctly states, Sky Sports have picked up the event, which is excellent for fans, who will have the opportunity to see for themselves as to how the new event works. I am not entirely sure why, at this point in time, they would consider dropping it. If it continues, you would imagine that Sky Sports would renew their contract, if only to stop BT Sport or Eurosport picking up the event. People will watch tennis on TV if it is on and of a decent quality. With a host of top 20 singles players, some high quality doubles and legendary names from the past, that is enough to attract casual viewers. At the time of day that it is on, it is quite likely one of Sky Sports most viewed programmes given that it is one of the few live events at that time of the day. With statements like that, how could he possibly sound negative? Surely there is no way that calling something ‘complete and utter garbage’ could be construed in a negative way? Besides, given the general confusion amongst players, officials and viewers alike, it seems that ‘easy to understand’ is about as far from the truth as possible. I can see why some purists may dislike the music and lights. To spectators watching on TV, it probably does not add a great deal. However, it surely improves the atmosphere for the spectators that are actually at the event. It gets them involved and it creates a visual and auditory spectacle during the normal downtime during matches. Furthermore, I don’t see what the problem with players getting involved with the music is. Would he rather they all sat quietly with their heads bowed? Are naming the franchises really harming anyone? In a team event, the teams have to be called something surely. Why not give them names beyond just the name of the city? Maybe the sponsor names added to the franchise names sounds a little ridiculous, but the money has to come from somewhere and sponsorship is becoming a bigger deal in all sports, not just tennis. Nobody complains about the BNP Paribas Masters, so what is wrong with the Micromax Indian Aces? Simply through the sponsorship, the company is going to advert the event just to get their names out there. Further publicity for the tournament cannot be a bad thing. Finally, at the end of the day, is something designed to make money a bad thing? With the tournaments that are being cancelled due to lack of money and sponsorship, why is making money seen as a bad thing? Of course the organisers are going to claim that. It would hardly be advertising their tournament to say that it was just a pointless exhibition with a modified set of rules. Just because they say this does not mean that it is true. Does tennis need a radical overhaul for the future? Of course not. Is there scope for tennis to evolve, both in a sporting and a commercial sense? Of course there is. Sports must evolve over time to remain relevant in an ever more competitive marketplace. Tennis, in terms of attracting spectators and fans, is not only competing against other sports, but other activities full-stop. For some people, watching tennis, whether on TV or live at the event, will be seen as a substitute for going to watch a football match. For others, it may be for watching a film or an episode of their favourite TV show. This section is simply untrue is parts. In the past month, the Oeiras WTA tournament has been cancelled, while the ATP version is in serious doubt. While not officially confirmed, the Valencia ATP event that Andy Murray won in October is expected to have been the final edition of the event. In recent years, the Belgrade ATP event has disappeared, Dusseldorf has lost its ATP event after just two editions. All of these tournaments have disappeared for financial reasons stemming from lack of sponsorship and big financial losses in recent years. When we watch many tournaments around the world during the ATP and WTA season, we cannot help but be struck by the empty seats on view. While the Grand Slams are usually packed out on the main courts, the majority of tournaments below that level struggle to fill their stands. Using Wimbledon and the ATP World Tour Finals in London as examples are fairly ridiculous. Tennis tournaments in England tend to be an exception to the rule. 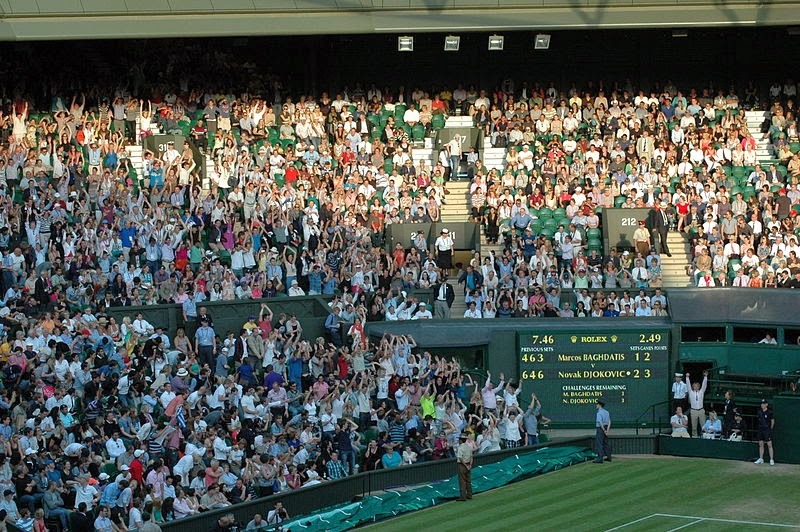 Main court tickets at Wimbledon are generally only available through a very oversubscribed ballot, while there are huge queues for ground passes. Tickets for the ATP event at Queen’s are allocated via a ballot, while the ATP World Tour Finals have been virtually sold out for every session since it came to London. Put simply, the British public, partially driven by the Andy Murray effect, love watching live tennis and will pay high prices for tickets to do so. Outside of the UK, the situation is often very different. Tickets for the Rome Masters are cheap and it is not difficult to buy them, even on the day itself. I have been to the old WTA event in Marbella and the joint ATP/WTA event in Sydney and bought tickets on the day for the main court with no problems. The courts were even fairly empty for both of them. Is there declining interest in tennis? Probably not. Certainly not in the UK, but I cannot say for sure about other countries. I would imagine not in most countries. Possibly in the USA given the lack of high-profile Grand Slam contenders outside of Serena Williams. Does the lack of declining interest mean that tennis should not try to continue appealing to new fans? Of course not. If you simply find tennis boring, it is unlikely that any innovations or changes will attract you to the sport. Was the Wimbledon final boring this year? Of course not. It certainly was not the greatest final in recent times – the only reason it went five sets was Djokovic choking at critical moments – but it was an enjoyable match. Of course the Grand Slam finals between three of the greatest players to ever play the game have not been boring. The battle for world number 1 is not boring. However, surely tennis exists outside of the top 3 players? Tennis has been blessed in recent years to have had three such outstanding players. For the ATP, it has been a golden generation. However, this will not continue forever. Even the evergreen Roger Federer will surely have to call it a day in the next few years. We do not know how long Rafael Nadal’s ever more brittle body will hold up to the strain of a full schedule. These stars will be replaced. The cycle will go on. But the next generation may not live up to the standards set by the current superstars of the game. The sport as a whole has to be positioned to be able to cope with this. To decide whether a sport is boring based on matches between some of the greatest players to ever pick up a racquet is ridiculous. You may as well ask whether watching Lionel Messi or Diego Maradona playing football is boring. Of course not, but not every match has one of those players. I am fairly sure that the player seem to be thoroughly enjoying their time at the IPTL. Obviously, the appearance money will undoubtedly be helping, but they do seem to be enjoying the camaraderie of the team format, the crowds are getting behind them and there is no sign that the players are not enjoying it. Will all professional tennis players agree that the sport is doing just fine? Almost certainly not. Plenty of players from top 50-100 players all the way down have brought up the issue of money being disproportionately weighted toward the top players, who arguably need the money the least. Federer, Nadal and Sharapova have roughly the same number of Facebook fans as top-end footballers? Not quite sure what that has to do with anything. And I am pretty certain that there is now music that accompanies goals at the majority of grounds, music before the match, at half-time and after the match, half-time entertainment and cheerleaders at some matches. There are fireworks after big finals at matches as well. That argument seems fairly moot.